Showing results by narrator "Aly Harrold"
Prepare and deliver great speeches every time! 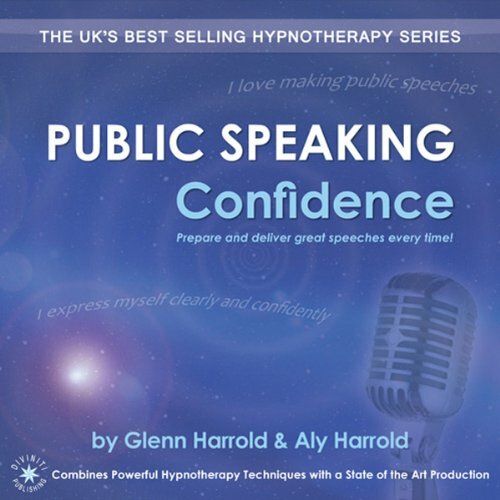 Public Speaking Confidence is a superb, high-quality hypnosis recording by the UK’s best-selling self-help audio author, Glenn Harrold, with a supplementary track by Aly Harrold. Track 1, “Become the Speaker You Know You Can Be!” is a 35-minute recording by Aly Harrold. This recording is full of tips and technical information to help you excel on your path to being an amazing public speaker.